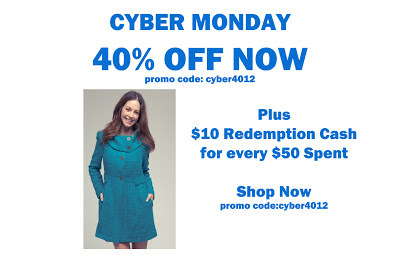 An awesome Cyber Monday Deal is available at Redemption Boutique where you can obtain 40% OFF + $10 Redemption Bucks for ever $50 Spent!! Use Code Cyber4012 and hurry over to shop!! Visit the site http://redemptionstyle.com/ for product selections! !